With Original and Heavy Body versions, System 3 acrylics are highly versatile, water-based acrylic colors. They offer an excellent painting experience at an economical price. Only high quality pigments are used in the manufacture of the System 3 acrylic ranges, offering a high degree of loading for an acrylic range in this class. System 3’s comprehensive range of colors offers excellent light-fastness*, permanence, durability and covering power. All colors can be thinned with water to pale washes or used directly from the pot or tube; each form dries quickly to create an insoluble film. The quick drying properties of the range enable the artist to work quickly, superimposing or juxtaposing colors without unnecessary fuss. All System 3 Original and Heavy Body colors are fully intermixable and suitable for interior use. As they are not lightfast, fluorescent colors are not recommended for exterior use; all other colors are both lightfast and durable. 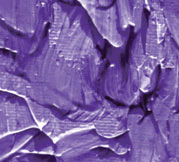 Since the introduction of System 3 acrylics in 1987, these colors have been successfully used to decorate paper, wood, canvases and uneven surfaces such as rough plaster or masonry. Tests on concrete slabs demonstrate the superior durability of System 3 in all weather conditions. System 3 has been used extensively for painting murals on school walls and, with the use of suitable primers, can be used even more widely on materials such as metals and plastics. Acrylic colors take well to all semi-porous surfaces such as paper and board, but more absorbent surfaces, such as cloth, plaster or wood, require a primer to seal the surface for maximum durability. Although System 3 will not adhere permanently to smooth surfaces such as laminated plastics, metal, glass or glazed ceramics, adhesion can be improved by abrading, etching or roughing surfaces or first applying a suitable primer, such as those used for priming car bodywork. A different degree of adhesion is required for painted plastic items used outdoors (e.g. skateboards) than for a plastic model shown in a display cabinet. For very rough or absorbent surfaces such as masonry or brickwork, first remove any loose dust or debris. As an initial coat, apply thinned Gesso Primer (five parts of primer to one of water). The surface should then be further primed with Gesso Primer before painting with System 3 colors. For painting on plaster or plasterboard, ensure that the surfaces are free from dust, debris, oil or grease and then coat them with Gesso Primer. For murals or other large areas, the first coat of Gesso Primer should be thinned five parts to one of water. Undiluted coats of Gesso Primer should then be applied. Raw, unprepared canvas will not readily accept System 3 or any acrylic colors. The gaps between the warp and the weft must first be filled to create an even but toothed painting surface. Canvas should be tightly stretched onto stretchers prior to application of Gesso Primer. The primer may be brushed, sprayed or rolled onto the painting surface. Most papers will take System 3 colours without priming. For texture effects, apply System 3 Heavy Body colours straight from the tube using a knife or a brush for clean crisp effects. Use a cranked blade knife to keep your hands off the surface. To load a palette knife with System 3 Heavy Body colors, first mix the color needed, then load the head of the knife on only one edge in order to build a roll of color. Use this to create edges and ridges, then wipe off any excess color and reload the knife. Limited only by your imagination, mix System 3 Original or Heavy Body colors with quartz, sand, pumice stone or other materials for outstanding coloring power with coarse grainy effects. For external murals and in cold studios, to ensure that a strong flexible film is formed, all colors and primers need some form of warmth while they are being used and drying; so make sure that the artwork has time to dry before it becomes too cold. For different brush marks try different sized brushes with System 3 Heavy Body colors, and create effects by dabbing, twisting or stroking with the brush.